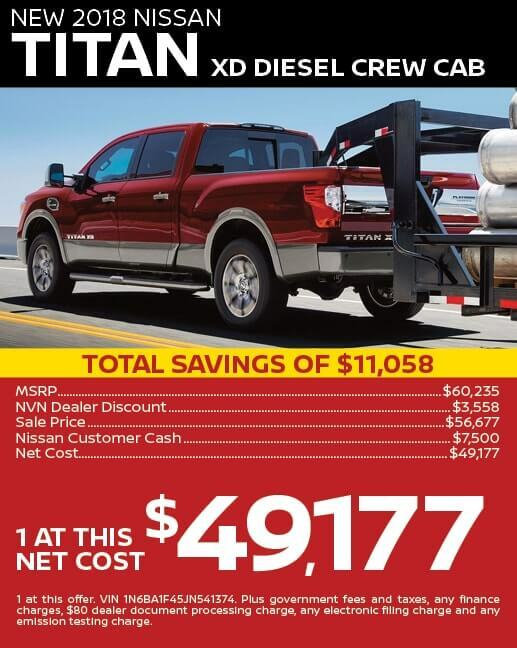 At Nissan of Van Nuys, we understand how important it is for your business to save money and get full value for your dollar. That's where our Commercial Account Manager comes in handy, presenting the compelling offers you see on this page. 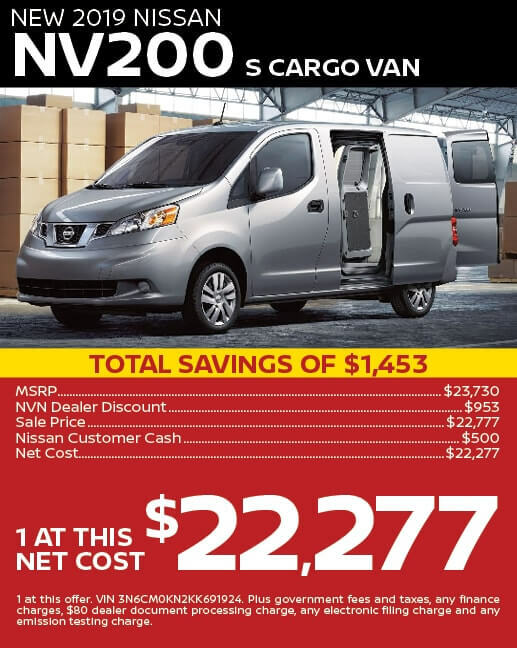 Whether you're looking for a cargo van or a dependable pickup truck, we have competitively priced options that are well-suited to meet your needs. 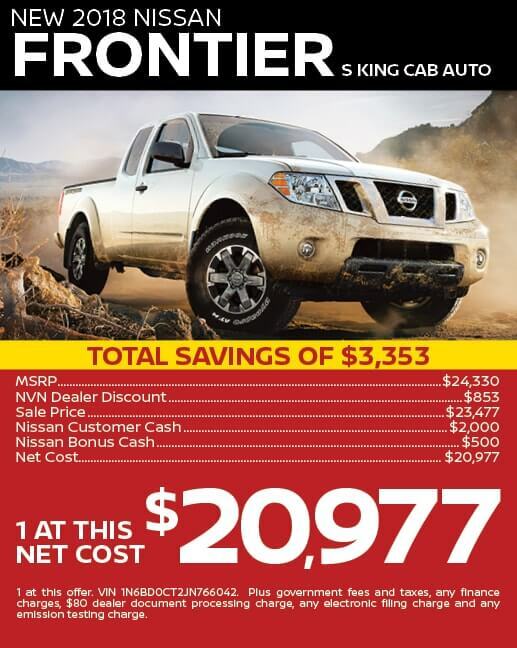 Nissan offers the vehicles that your business requires. You can count on the hard-working Frontier, Titan and Titan XD pickups to show up to the job site day in and day out, ready to put in a full day and still make the transition needed for a night out on the town. 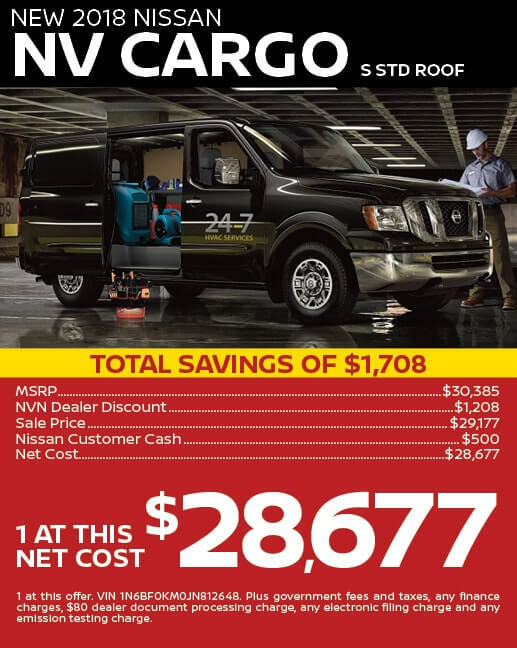 If you're in a trade that requires carrying both tools and supplies to your clients' locations, the NV cargo vans provide a safe, dry, secure place to store all that you need -- cutting down on the number of trips you need to take back to the shop and increasing the number of hours you can bill. Our commercial vehicle specials are designed to make it easier than ever for you to find and afford your next work vehicle. To learn more about each offer, we suggest that you contact the pros in our Finance Center -- especially since there are restrictions in place to ensure that these specials are offered to the right customers. Our team will verify your eligibility, explain the offer in greater detail, and help you arrange for the loan terms that fit into your monthly expenditures. Their sole goal is to make sure that you're comfortable with the terms before you sign any binding paperwork. Customer must have a VALID FLEET CERTIFICATION CODE to qualify for Tier 1 (2-15) within model year. Model years cannot be combined or customer has a pre-existing fleet certification code and a current model year customer fleet agreement. Incentives cannot be combined with any retail incentives including, but not limited to, VPP, NMAC special APR, and special lease.